If you want to know how to get rid of starlings, you are not alone. These cacophonous birds are considered pests in many parts of the country. The common starling is not native to the United States. The European starling, which is its other name, was brought to New York in the year 1890 by a misguided group. The American Acclimation Society was an organization with a mission to integrate European wildlife into America for cultural enrichment. New York pharmacist Eugene Schieffelin was chairman of the society. Allegedly, he wanted to bring over all the birds that had appeared in Shakespeare’s plays. The starling is featured in Henry IV. Starlings are known for their ability to mimic other sounds, including human speech. In Henry IV, a starling is used to drive the king crazy. Because European starlings are not native to North America, they do not have a natural predator. This makes them prone to overpopulation, and they can become pests. They can eat crops, causing extensive damage, and they leave a heck of a lot of bird waste around. Common starlings can also be extremely noisy. Like many birds, starlings eat insects, including spiders, flies, beetles, and caterpillars. They also eat vegetarian bird fare, including birdseed, grains, plants, and fruits. Believe it or not, some people keep starlings as pets. They also rescue baby starlings. Because starlings are omnivorous, they need a lot of animal protein. Young starlings are known for being quite voracious in their appetite. In the wild, they need to eat a lot of insects to grow and thrive. When people rescue baby starlings, they are not in a position to feed them insects by hand. A typical meal for rescued birds might be parrot handfeeding formula, but this will not work for starlings. This is because starlings absolutely need animal protein and all of its associated amino acids to survive. For this reason, some advocates for starlings recommend using dog food to feed their baby starlings. The dog food is typically supplemented with fresh vegetables. This might sound crazy, but apparently, it works. Likely, however, you are reading this article because you want fewer starlings around, not because you are nursing one to be your pet. Starlings can be bird bullies. If you put a bird feeder out in your backyard, hoping for some peaceful bird visitations, a group of common starlings can ruin it. They can scare away the smaller birds, and wreak havoc with their waste and excessive, unpleasant noise. So, what if you want to discourage common starlings from your backyard bird feeder? Well, obviously, don’t put dog food in it, as that will only help the starlings. This allows the smaller birds to reach the birdseed, and the starlings will be effectively locked out. 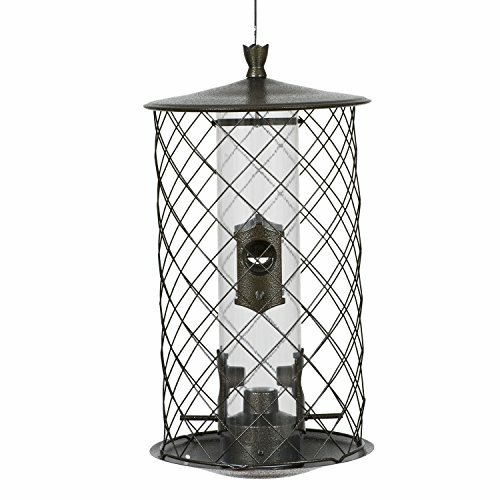 You can purchase these types of bird feeders at many garden centers. Optionally, you can construct your own cage or place netting around a bird feeder. Smaller perches won’t work as well for the larger starlings, but the smaller birds you want to attract can still use them. You can look for a bird feeder designed for smaller birds, or, cut the perches on your existing or home-made feeder. This might sound strange, but some birds are perfectly OK eating upside down. Guess what? The European starling is not one of them. Common starlings only like to eat upright. So, if you want to use a feeder that starlings will stay away from, get an upside-down bird feeder. Should You Use a Starling Trap? If you are really adamant about getting rid of starlings, you might be tempted to buy or set up a starling trap. The problem with traps is that you can’t necessarily just kill the birds outright (this depends on local and state law). Even if you can destroy the birds, how will you do it? Once the bird is dead, how would you dispose of them? 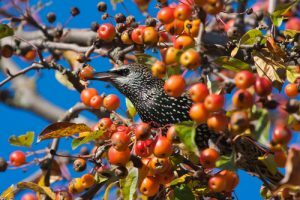 Unless you are a serious hunter or farmer, you might be better off hiring a professional pest control company if common starlings are causing serious problems for your home or business. Unfortunately, while you can deter starlings from your bird feeder, or even set traps for them, they won’t disappear overnight. Remember, as an invasive species, they don’t have much stopping them from natural predators. You will have to be persistent to see results. 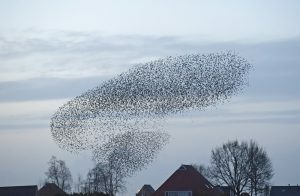 Ultimately, if starlings aren’t harming your crops or garden, but just making noise in your neighborhood, see if you can find something to appreciate about them. 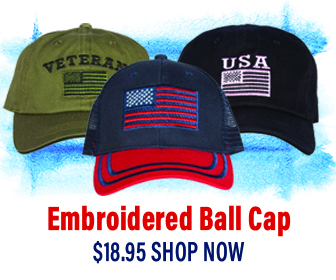 They may not be going quietly away into that good night. Hey Buddy!, I found this information for you: "How to Get Rid of Starlings". 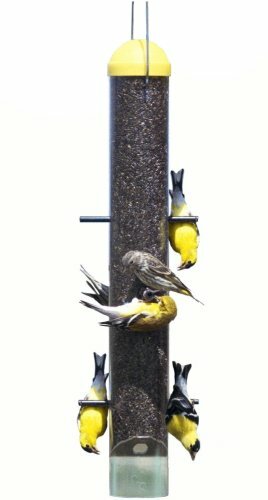 Here is the website link: https://effectivewildlifesolutions.com/how-to-get-rid-of-starlings-feeders/. Thank you.